Owning vs. renting a website is a question that most small businesses face when they decide to start or change their internet marketing strategy. 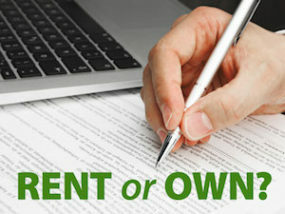 This series of articles covers the pros and cons of website ownership and leasing options. It is targeted to our clients in the bed & breakfast, dude ranch and related hospitality industries, but really applies to any small to medium-sized business that is pondering what to do with the website end of their internet marketing efforts. Domain names never have an ownership option. A domain registration is like a piece of land. All of the private sector “land titles” of the internet are governed by the Internet Corporation for Assigned Named and Numbered (ICANN). ICANN coordinates the procedures and maintenance of the databases related to these “namespaces” of the internet. This is as close to “full ownership” of a domain as you can get. All you need is an account with a domain registrar to pay the fee to register a domain name. You pay the registrar directly and may purchase and manage all services on the domain yourself or delegate access to third parties as needed. Direct control over your domain name. Direct communication with the registrar. Potentially the lowest cost if you shop around and transfer to other registrars as prices change. Needing to learn the other technical aspects of domain registration. 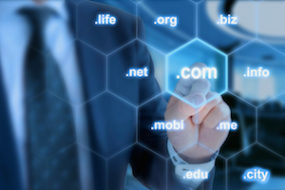 A managed domain registration service gives you most of the benefits of registering a domain yourself, but adds a layer of technical expertise provided by the vendor. Services and prices vary, so you will want to shop around. Regardless of the other services your vendor provides, you want to protect your control over the domain registration. Most important is to your contact information listed as the Registrant for the domain’s “Whois lookup” data. As the Registrant you are able to contact the registrar directly should there ever be an issue with the managed domain registration service provider. Renewal payments are managed by the provider. Some level of technical support is given by the provider – be sure you know, and are comfortable with, the level of their control. An unethical provider may deny you access to your domain registration without cause. This is especially problematic when you and your business are not listed as the Registrant on the domain’s Whois contact data. Make sure you fully understand your provider’s policies. InsideOut Solutions offers domain registration services to its managed web hosting clients. Contact us if you currently self-register your domain and want to bundle registration with your hosting.